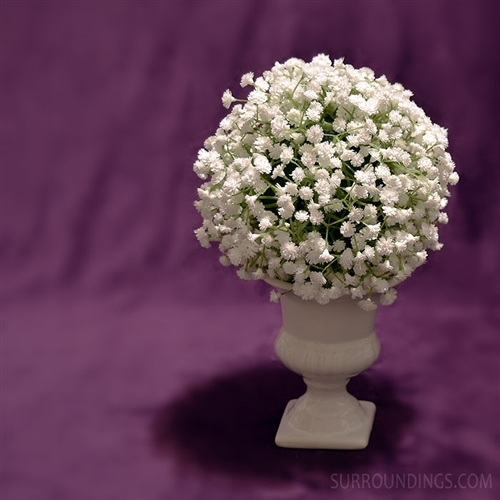 Artificial Baby's Breath Kissing Ball, 7"
Hang your baby's breath ball or set it atop a vase. Such an easy way to add and enhance your decor. 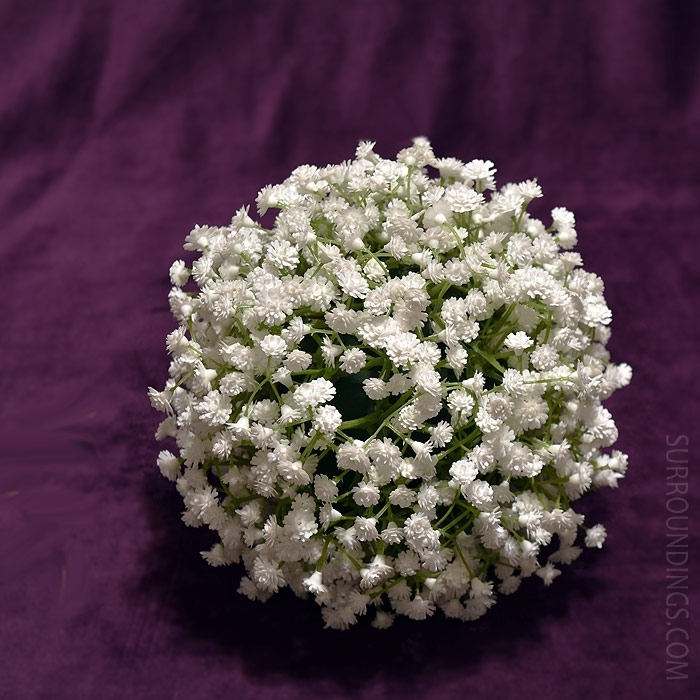 Baby breath sphere is 7". Mini urn is sold separately.